The science page essentially says “Calories have been around for nearly 200 years”. The science page notes that the work was developed in the late 1800’s by a chemist called Atwater. Wilbur Atwater was also working with Max Rubner and, between them, they developed the first calorimeter and established that the approximate calorie content of carbohydrate, protein and fat was 4, 4 and 9 respectively. If I share at this stage that, in Rubner’s publication in 1901 (Note 1), carbohydrate, protein and fat were estimated to have 4.1, 4.1 and 9.3 calories per gram respectively – you can see that this has never been a precise science. (Rubner recorded the calorific value for olive oil as 9.4, so even his 9.3 was an average of four fats reviewed). Dr. Geoffrey Livesey has been another great pioneer in this area. He has estimated that fat has 8.7 calories per gram. Back in 2002, the United Nations Food and Agriculture Organization (FAO) assembled an international group of nutritionists, including Livesey, to investigate the possibility of recommending a change to food labelling standards to update the four, four and nine calories attributed to carbohydrate, protein and fat respectively (Note 2). The group, with the exception of Livesey, decided to stick with the long-standing values because, the report concluded, “the problems and burdens ensuing from such a change would appear to outweigh by far the benefits”. I would have supported Livesey, but with the recommendation that he go way further and challenge the entire application of these estimates. b) This assumes that the body will try to use protein for energy and it likely won’t. There are an estimated 1,500 calories needed for the basal metabolic rate for an average woman and these ‘body maintenance’ calories need to come in the form of fat, protein, vitamins and minerals – things that the body can use for building bones density, cell repair, fighting infection and generally keeping us alive. The good news is – eat good calories in the form of real food (meat, fish, eggs, dairy products, veg/salad, nuts/seeds) and the body can use these as part of the 1,500 calorie planned maintenance for the day. Eat 400 calories of sugar (no fat, protein, vitamins or minerals) as the average Briton does and the body can’t use these for basic needs. Then you have to burn these off with activity, or they can be stored as fat. 2) On this SCIENCE sheet – bottom section – we find the words: “this helps to create an energy deficit which is fundamental for successful weight loss.” I disagree. We can only lose weight (break down triglyceride, which is what human fat tissue is) when the body has no option but to break down triglyceride. This can only happen when there is no glucose or glycogen (the body’s storage form of glucose) available in the body. Eat 3,000 calories of pure meat and fish (zero carbohydrate and therefore no glucose or insulin to store fat) and a person will lose weight. Eat 3,000 calories of sugar, white flour and processed carbohydrate and the same person will gain weight. Weight Watchers are still calorie counting – they are still obsessed with creating a calorie deficit (and – as we will see below – they still believe the fundamental calorie myth that it’s all to do with 3,500 calories and one pound of fat). 3) Finally, the bottom section of the science page states “filling and healthy foods are also great choices for healthy weight loss, as they are nutritionally superior, being higher in fibre and/or lower in salt, sugar and saturated fat.” I disagree. Nutrition is about what is IN a food as much as what is NOT in a food. The nutritious macro nutrients are fat and protein (carbs just provide energy and we can get that from fat – eaten or stored – as well). The micro nutrients are vitamins and minerals and the levels of these define how nutritious a product is. The most nutritious foods on the planet are liver, sardines, eggs, milk and sunflower seeds, They all contain no sugar (sucrose) whatsoever, but they also contain no fibre. They do contain plenty of excellent saturated and unsaturated fat. Fat is our friend! It is only the enemy of calorie counters. It contains the essential fats and the fat soluble vitamins, A, D, E and K.
Are Weight Watchers saying that ProPoints will be all about eating real food and only real food? Only eat what nature intended us to eat? Check out their food products page and I think the answer will be no. The ingredients in these products are horrific. One features on my web site list of my least favourite products – check out the number and the nature of the ingredients in the Weight Watchers Double Chocolate Brownie! Don’t talk to us about nutrition Weight Watchers until you are prepared to ditch all your processed foods and tell us to eat as nature intended instead. I was on BBC Radio Wales with Ms Hellman this morning and she said that the calorie labels on foods are not accurate. I can imagine quite a few calorie counters not being happy about that! The minimum daily ProPoints allowance is going to be 29. Call me cynical, but we all currently know that 1 Weight Watcher point is c. 50 calories. We don’t actually need Weight Watchers if we can count to 1,000 – if we can only count to 20 (units of c. 50) we may need them. Maybe Weight Watchers have realised this and want a number that can’t easily be converted so I’ll be interested in the ‘conversion’ of ProPoints to calories. People will be looking for a similar conversion going forward – calorie counters count calories at the end of the day! In addition to the daily allowance, everyone is given an additional 49 ProPoints as a weekly allowance to use however they choose. Weight Watchers will no doubt hope you’ll be using them on their chocolate brownies and other processed food. On the bottom part of the “explanation” page you can see the 3,500 calorie theory “the plan is designed to lead to a healthy and sustainable weight loss of up to 2lbs a week.” That can only come from one place – Weight Watchers believe that one pound of fat equals 3,500 calories (it doesn’t) and that, if you create a deficit of 3,500 calories you will lose 1lb of fat (you won’t). i.e. if you cut back by 1000 calories a day you will lose 2lbs a week (and I would be 6lbs in a year’s time – yeah right!) (All of this is covered extensively in my latest book: The Obesity Epidemic. Zoe Hellman, Weight Watchers company dietician, is quoted on the top part of this page. On this link , Zoe Hellman is quoted as saying: “One pound of fat contains 3,500 calories. To lose 1lb a week you would need to cut out 3,500 calories from your overall weekly nutritional requirements, this equates to needing a deficit of 500 calories a day.” (Point 6). I blow all of this apart in chapter 7 in the book. (I emailed Zoe Hellman about this on 6 April 2010 but she never replied). There is also a note on this EXPLANATION page about fruit being ‘free’. It won’t count as part of the ProPoints allowance. I find this astonishing. Most calorie counters I know binge on fruit – they can eat a pound of grapes and/or 6-8 apples a day with no problem. Allowing people to eat as much fruit as they want whenever they want is going to have ProPoint dieters full of fructose and glucose all day long and make it impossible for them to be in a fat burning mode. Plus, fructose (see chapter 13 of my book) is now called “the lipogenic (fattening) carbohydrate” in the obesity world. Fructose goes straight to the liver to be metabolised – where it can be turned into fat if insulin is present. Insulin is present whenever we eat a carb (like fruit) and hence fruit – especially fruits with lots of glucose like bananas – can turn the body into a wonderful fat storing machine. In this paragraph about fruit, Zoe Hellman refers to five-a-day as if it is a scientific principle in the top part of this “explanation” page. “We’ve made it easier than ever before to take in your five a day”, she says. This is not science. In Chapter 13 of The Obesity Epidemic I give the background to give-a-day. It started as a marketing campaign by fruit and veg companies in California in 1991, working with the American National Cancer Institute (NCI) (who have since trademarked the term). There was no evidence at the time that it would provide any benefit for cancer, let alone any other health condition. There has been none since (see the April 2010 a study in the Journal of the National Cancer Institute written by Paolo Boffetta, as the lead of a large group of European researchers). Vegetables in butter are nutritionally useful (not as good as liver, sardines or eggs) but fruit is not that nutritious, too high in sugar, metabolised by the liver and best avoided by anyone needing to lose weight. Five-a-day is marketing, not science. As Stunkard and McLaren-Hume proved in 1959 (Note 5): “Most obese persons will not stay in treatment for obesity. Of those who stay in treatment, most will not lose weight, and of those who do lose weight, most will regain it.” Stunkard and McLaren-Hume’s own statistical study showed that only 12% of obese patients lost 20 pounds, despite having stones to lose, only one person in 100 lost 40 pounds and, two years later, only 2% of patients had maintained a 20 pound weight loss. This is where the often quoted “98% of diets fail” derives from and it refers to calorie controlled diets. The 2007 Franz study updated the research on this topic and concluded the same – a fraction of the weight we expect to lose is lost and most of that is regained. There is simply no evidence in the obesity journal world of calorie restriction producing sustained weight loss. At the end of the day, it doesn’t matter if Weight Watchers make a slight adjustment to the idea that protein is 4 calories per gram or that carbohydrate is 4 calories per gram. It doesn’t really matter what calorie number we assign to each food. Counting/restricting calories does not work – and we have known this since Benedict’s study in 1917. If calorie restriction did work, we would not have an obesity problem, let alone an epidemic. Note 1: Max Rubner, “Zeitschrift fur Biologie,” Festschrift zu Voit, (1901). Note 2: Dr. Geoffrey Livesey, “The Calorie Delusion: Why food labels are wrong”, New Scientist, (15 July 2009). Note 3: Eric Jequier, “Pathways to Obesity”, International Journal of Obesity, (2002). Note 4: Richard Feinman and Eugene Fine, “A calorie is a calorie violates the second law of thermodynamics”, Nutritional Journal, (2004). Note 5: Stunkard A. and M. McLaren-Hume, “The results of treatment for obesity: a review of the literature and report of a series”, Archives of Internal Medicine, (1959). I only read a small portion of the above comments. I have tried many diets, calorie counting, eating different and certain kinds of foods on certain days, etc,etc,etc. I would have thought that people are intelligent enough to realise that what WW does is give you a choice, yes you can eat empty calories or you can spend those points on something substantial and filling. I also found that giving me the oppurtunity to earn some treat/extra points (however you want to look at it) meant that I was much less adverse to the idea of exerise, in fact using a points diet, and not weightwatchers I might add, was my most successful weight loss, and yes I did keep the weight off for some time. My eating habits changed when my family relocated and I turned to food for comfort. Needless to say I will need to follow a diet again now, and I have to be honest, this is the kind I will look to…….if its not broken dont fix it in my opinion!!!! I actually think I gained a few pounds! Yes, their intention is to make a profit. Would never do it again. And I 100% agree with yoru fruit post. It was Kraft. They know how to keep addiction alive. Your hooked for life going up and down the scales, and Kraft make money both ways. Stay with real food. No sugar, grains, lubricants or processed food for good results. just curious, Zoe, on the new WW plan (PointsPlus) they’re acting like Avocados are the new enemy. Would you have any idea why? I certainly don’t need carbs for energy. I regularly do 100+ mile rides on a cheese omelette breakfast and then either no food or high fat / protein snacks. Athlete friends take a lot of persuading to not just throw down more sugar when they feel the sugar low but when they just let their body sort itself out the invariably find that they have nice even energy levels. I’ve always taken this to mean their body has switched to fat burning mode and they all have hours (days) worth of that hanging around their body. I’m glad to hear what you say about whats taught is generally wrong. When the penny dropped about nutrition I was keen to try and make a difference so I looked into getting “qualified” but started to believe I would just get taught a load of nonsense. For now I satisfy myself by trying to influence those that I come in to contact with. I’m now a follower of this blog and will re-tweet relevant stuff. Hi Steven – I’m sorry but I don’t have a source for that bit other than me! Everything I’ve learned about nutrition has been from reading widely – as you do – and you discover that everything you are taught formally in nutrition courses is wrong (1lb does not equal 3500 cals; you will not lose 1lb if you create a deficit of 3500 cals; fat is life vital – not public enemy number 1; carbs are uniquely fattening – not the things we should be basing our meals on; HDL and LDL are not even cholesterol, let alone good or bad! and more and more.) We would never get away with teaching people that London was the capital of France – how we get away with something so wrong and so important is beyond me. Barry Groves also talks about useful calories – so I’m not the only person to have worked this out. When you know the role of protein, fat, vitamins and minerals you can see that these calories “have a job to do”. When you review the Kreb’s cycle and see that sugar (and we eat 400 cals of this per avg Brit and American per day) does not even provide energy (we need B vitamins for this and sugar brings no vitamins to the party) – you can see that this is the ultimate empty calorie. Dieticians are oft heard saying “we need carbohydrates for energy”. a) we need far more calories for BMR than for energy above BMR so we need more of the stuff that helps BMR – fat and protein b) fat is better because it can be used for BMR stuff and/or energy by the body so you’ve got more chance of it being used up and c) – we’re suffering an obesity epidemic! The last thing that 2/3 of the Western world needs is energy – some people are carrying around a year’s supply of the stuff – they need to stop eating carb energy to let their body use its reserves! Thanks for your nice comment at the end – it will be individuals like us who make the difference. I say exactly what you say above in my last chapter of “The Obesity Epidemic” – governments should give the right advice or shut up – they are really not helping at the moment! Do you have a source for the basal metabolic rate needing to be met from fat, protein, vitamins and minerals. I’ve read widely about nutrition and this is the first time I’ve read this. It certainly makes ‘sense’ to me but I’d be interested to know if there’s research that confirms it. This is a great post and I’m a firm believer that it’s not as simple as calories in vs calories out. As a full time athlete I know from experience that no matter how much I exercise if my diet is wrong I put on weight. Thanks for the work you’re doing to get this message across. Hopefully one day governments will either stop advising us or give the correct advice. It hurts to see someone using it’s scientific background to make appeal to autorithy argument. Who care what you wrote and studied? I know a lot of highly educated individual who believe diffently than you – so what? All that matter is scientific data and empirical evidence. Before the low-carb craze, a lot of people lost weight on high-carb diet. I haven’t look at the paper you cite, but it’s pretty damn sure that it’s self-report, or was it controlled metabolic study, where the food are given in controlled setting? You, as the highly educated individual that you are, must know how worthless self-reported calorie intake are? If not, Anothony Colpo already reviewed all the evidence regarding metabolic study, and Taubes & Eades followers are all wrong. But you are all either too blind or stubborn to admit it. Low-carb works because 1) it takes out lots of food which are very easy to over-consume, thus drastically reducing caloric intake 2) are higher in protein, that have a higher TEF and satiety, thus, again, reducing caloric intake. Here is the real tricks that never fail : get a weight, and weight your food. Have a healthy, balanced diet, with a small caloric deficit, ajusting it as you loose weight, with cheating (overconsumption) here and there for psychological and hormonal purpose, and do heavy weight training 2 time a week. Aim for a slow but steady weight loss. and YES, there will be plateau. Keep on though, and it shall start again. Obviously there is not much money to be done by promoting sometime so simple right? It is much more selling to come off with sometime complexe and “different”, quick, endorse by a MD or a PHD. I saw you comment on Carbsane blog, you should hang around to educate yourself a bit more. Yes, even PHD can be wrong. You should not be so arrogant and act like you know everything. No one does. Sorry if i’m being rude here, but you need to chill out and open your mind and tell to yourself that you are not God. A little bit of humility and self-critic would help you a long way. I know it’s hard when we have published books and papers, we think we are at the top. Btw, the Kekwik and Pawan study is rubbish. Eades used it one to prove his points, and Colpo completly destroyed it. “Hi Sofia – Wow! How critical and presumptive and wrong! Fruit only became points free under the new pro-points program, so that is not correct. At the meeting I attend the message has been repeated again and again that does not mean over eat fruit. I approached WW as a cycnic, but have had the same experiences. No hard sell and a fixed fee for a program that suits my lifestyle and works for me. One aspect people understimate is the group support. It has been an eye-opener for me. I have lost 10kg and I eat far more than I used to. Much more fresh veg, wholegrains and fibre than before as well. Everyone to their own and good luck to those wanting to lose weight and eat more healthily, whatever approach they adopt. By your ‘calculations,’ vegans would be the size of hippos, which they are not. And vegetarians in general would have to be pushed in wheelbarrows down the street by muscular attendants. Such silliness wrapped in ‘scientific’ talk about diet. I used to follow WW program some 5 or 6 years ago, didn’t lose a single pound. The food allowance always seemed not enough, and rather than anything else – it made me to overeat on sugary fruit, as fruit had a 0 point value. Although maybe it wasn’t WW’s fault after all, as 1.5 years ago I found out I was hypothyroid. As I suspect – my medical condition was probably the reason why all the other diets I tried over the years didn’t work either. However, the despair caused by constant trying and failing gave me some lovely ‘side efects’ – thinking about food all the time, organising all my life around eating, being obsessed with food, taking my own food to dinner parties, if attending at all. I also became absolutely paranoid about fat – I have eaten low fat for as long as I can remember. I found out about the Harcombe diet completely randomly, and decided to give it a try – although I am a vegan (for ethical reasons) and trying this eating plan meant changing my eating patterns completely (cutting out carbs).Phase 1 was very hard, but I got through it. I didn’t really seem to have symptoms of any of the 3 medical conditions Zoe is talking about in her book, although I have noticed that my breakfast cereal cravings have stopped (probably intolerance to wheat?) and I have lost some weight too, finally! And phase 2 feels is so much easier to follow, great! However, I have a few worries too, as the diet doesn’t seem to be easily adjustable to vegan diet. First,it seems that now I am afraid of carbs as much as I was afraid of fats before, trying to limit myself to no more than one carb meal per day (breakfast). I’ve cut out all wheat and rye, basically all carbs I ever eat come from vegetables, fruit, my breakfast oats and some brown rice. Could I be lacking carbs, could it be the reason why I’ve started feeling so tired and sleepy lately? 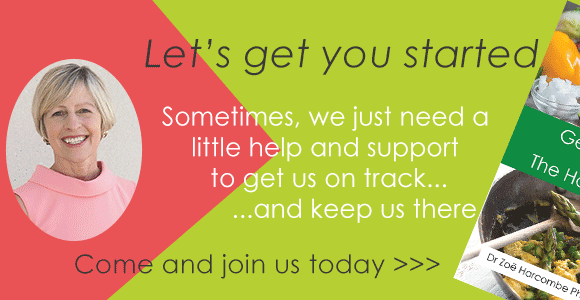 I would really appreciate it anyone had any advice on this..
Hi Linda – do check out our lovely club – there are more people to help then I can manage so we have lots of helpers! The vegan one is a real problem and it’s a personal choice that only you can make. I was veggie for about 20 years before starting to eat meat and fish again – meat as recently as Good Friday 2010. Having studied nutrition to the point of analysing individual foods for vitamins and minerals ‘for fun’, I came to the realisation that it is called a food chain for a reason and I no longer felt that I could be optimally healthy without eating animals. It was agonising at the time, but I have no regrets since making the choice and feel even better than I did before. The B12 alone for me says that humans are at risk being vegan. The unbeatable nutrients in meat, fish and eggs also convinced me that we have evolved to eat animal products. It’s entirely your call but my biggest piece of advice would be to soul search your principles and see if your weight and health is more important than abstaining from all animal products. I remember that I wanted to shoot the first nutritionist who suggested that to me over 10 years ago. I wish I had listened to her now, as I worry that I will be suffering osteoporosis in later life as a result of my veggie years. As regards weight, if you avoid the only zero carb foods on the planet (meat and fish are carb free and eggs virtually so) and you eat such a restricted diet as you do now – you are likely to develop the 3 conditions, if you haven’t done so already (your wheat observation would likely have been right). People will be reading this thinking how on earth can a vegan become overweight (I don’t know if you are, but I’m hoping you’re not feeling overweight with a BMI of 20 or something!) and the answer is carbs! Hi Susan – I’m not sure if you still need to buy the whole article to see all the detail. The points I make in my recent book are that the calorie theory promises a weight loss of 1lb for every 3,500 calorie deficit and the Franz study (as does every one before) shows this is massively overstated. I plot the calorie promise in my book on top of the Franz chart and it’s staggering. The conclusion of franz was that people were lucky to be 3-6 kg down if they could be followed all the way through to 48 months. Nick Finer presented this at the Wales National Obesity Forum conference in May and said that (he was involved in this study) the evidence showed that people simply delayed breaking through a further gain marker by a few years. The amount of weight lost is a fraction of what is promised and expected. The amount kept off is smaller still and most of the people I work with lose, gain back more, lose, gain back more and they are eating less and gaining more over time. Please believe whatever you want – I am only interested in evidence and there is none that calorie restriction is an effective weight loss tool over time for more than a tiny percentage of people – those with the will power of Posh Spice being top of the list! The only way to convince someone is to repeat the Kekwick & Pawan 1956 experiment (if reading it doesn’t work). They gave patients 2600 calories of fat/protein (zero carb) and they lost weight and then the same patients 2000 calories of carb/protein (protein is in everything other than oils) and they gained weight. You can’t gain weight unless you eat carbs! Give is a go! I managed to find what I think is your Franz reference. It looks to me that is exactly what those authors are are saying, they found that reduced energy diet alone and reduced energy diet with exercise led to weight loss whch was sustained to 48 months following a plateau at 6 months followed by a little regain. I have quoted Maron Franz’s team conclusion below. I actually think we agree in part, I think if a person followed your guidelines they would end up taking in less calories and lose weight. But I remain unconvinced me that reducing the energy value of food intake is not crucial to losing weight. Franz, M. J. et al (2007)’Weight loss outcomes: A systematic Review and Meta Analysis of Weight Loss Clinical Trials with a minimun 1 yesr follow up.’ Journal of the American Dietetic Association vol = October 2007 pp= 1755-1767. I maintain that WW does not push or encourage brownies or other similar foods. I go to meetings and have gone for years and have had maybe 6 different leaders. Yes, the products are available but NO leader I have met has every encouraged them. As a matter of fact, most leaders and WW members will advise that one way to get off a plateau is to cut down on “sugary treats” for a few weeks, that is, not eat the “empty” points and eat cheese with apple, peanut butter or other types of “snacks”. The availability of WW packaged foods is maybe 1% of the program. Outsiders may not realize that because they see the advertisements, but when you really know the actual plan and go to meetings, read the message boads and talk with others who are on WW you would be amazed at how little of the WW pre-packaged foods any of us eat. And by the way, WW agrees with you in part — foods that are higher in whole grains than in their caloric-equivalent white flour counterparts, are lower in points. You do not seem to acknowledge that. I also do not agree that eating a brownie leads to the addiction. In fact, not being able to enjoy youself with a desert after a good dinner once in a while, or at a party, is likely to be a non-sustainable life-style for most. And, if you are right, and it is “addictive” – so what? I would rather live a life of being able to occasionally have my desert and my wine and my fun. As for not exercsing– WOW. How any woman over 30 can brag about that is shocking to me. Maybe it is because I am form NY. You may be thin but I doubt you have any definition in your triceps, biceps, calves and a 6-pack for abs. I am 44 and have a better body now than when I was in my 20’s. I also consume more, not fewer, calories, becasue I run 5 times a week and lift weights 3 times a week. I am a busy professional, yet make time to keep my body healthy and even more important, my mind. Exercise always makes me feel better an releives depression and stress. Again, you do make some valid points – I do agree in eating “mainly” real foods- but your unfounded extreme position on WW weakens your arguments. Weightwatchers are not a philanthropic institution, they are a commercial company whose bottom line is making a profit. Go to any meeting and the pressure is on to spend money. Apart from collecting your weekly fees there is always a sales table laden with recipe books, point-counting devices and sweet treats. The Pro-points system is simply a new way to make you part with your money. Most people will find it difficult to work out the pro-points value of foods so will purchase a whole new set of recipe books, points calculators and scales. You make some valid points, but your criticism of Weight Watchers indicates a mis-understanding of the program, and of people. WW absolutley focuses on lean meats/fish, proteins, legumes fruits veggies, water and exercise. It has never been about calories in/out. That is only a small part of the program. The reason you mis-understand people is– people generally will want a brownie! They will want cookies and cake and chips. That is reality so WW takes that into account and allows for it without making you feel like you have “blown” your diet. WW does not “encourage” or push over-precessed sweet foods. They simply make their own options available (very tiny part of the program and of meetings), which are to be part of your otherwise well-balanced diet. I have been on WW for 5 years and am healthy, eat well and exercise and have kept the weight off. Hi Sofia – Wow! How critical and presumptive and wrong! Having written a book called “Why do you overeat? When all you want is to be slim” and having researched obesity, food cravings, food addiction and the biochemistry and psychology of eating, dieting and obesity since the age of 15, I know a heck of a lot more about this topic than you belittle and likely more than you do! I truly understand that people want a brownie – because they are addicted to such things and, if they have one, they will want more. Weight Watchers makes money from selling such things, so it is in their interest to allow this as part of a ‘diet’. How can you say WW does not encourage or push these foods when, they advertise the WW chocolate brownie, referred to in this blog, to encourage us to reach for this “Rich chocolate brownie with an indulgent Belgian chocolate & vanilla mousse, oozing chocolate sauce”? What I am also saying is that the current dietary advice is so far from a well-balanced diet, it is not true. 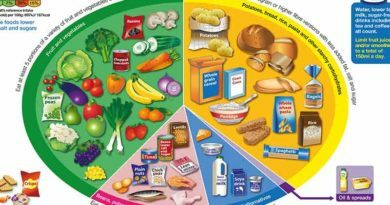 Having analysed each line of the UK National Food Survey for every year since 1974, we consume 1,576 calories a day in the UK from pure processed food. c. 1,100 calories come from just 2 ingredients – flour and sugar. A healthy balanced diet is based on only the food that nature has provided for us to eat – meat & eggs & dairy products from grass grazing animals, fish, vegetables, salads, nuts & seeds, and fruits and whole grains in moderation if you want to manage weight easily and without hunger. I have been eating real food for 15 years – I would be amazed if I don’t eat twice what you do (my calories have a job to do – none are ’empty’). I don’t exercise – I’m bursting with energy so I do normal things that a person is designed to do – nothing that requires me to schedule in something ‘unnatural’. If you don’t eat WW products and you do eat the healthiest macro nutrient – fat (not lean meats) – then you may “eat well”. If you avoid fat, eat lean meats and have an unnatural level of protein as a result and eat any processed food, I would beg to differ. I have been following the posts here with interest over the week. Whilst I have no problem with some of your views about food expressed here in these comments, such as avoiding processed food, eating nuts and not eating too many carbohydrates, I think you have to be careful not to give people the impression that they can lose weight by following GI, WW, Zoe Harman or any other guidelines on types of food consumed without taking into account the amount of food consumed on a long term basis. I think for most people wanting to stay the same weight your ideas are great and healthy, but however you measure it, calories, GI, or whatever the only way to lose weight is to eat less. We don’t need as much food as we think we do. However you cut it that is why I think so many people have a problem (myself included), that the message has got lost somewhere. Hi Susan – this is so interesting! I don’t say people need to eat less because I fundamentally believe that this is the last thing that people should do. All the evidence from scientific studies (Benedict 1917, Keys 1945, Stunkard & Hume 1959 and Franz 2007 – to pick out the best spanning almost a century) confirms that eating less does not lead to sustained weight loss. Stunkard & Hume quantified it with the fact I put in the blog – 98% failure rate. I have written entire books on why this happens – the combination of physical and psychological things that happen if we eat less and the dominoes that then fall to virtually guarantee regain and invariably more. The whole blog above is saying weight isn’t about calories and therefore isn’t about eating less. Weight gained is triglyceride formation and weight loss is triglyceride break down. Both of these are determined by glucose and therefore carbs – not calories. The ultimate irony is that people who try to eat less/cut calories, eat more carbs (because they are lower in calories so you get ‘more bang for the buck’) and they therefore eat more of the macro nutrient (carbs) that causes weight gain! Don’t eat less – eat better. Eat no empty calories – only real food and manage your carb intake and frequency of carb consumption if you want to lose weight. I’ve been doing WW since April and have lost 10 pounds. I’m plateuing a bit now, but it is working to at least keep the 10 pounds off. Weight Watchers does have an alternative plan that sounds a lot like what you are proposing. It’s called Simply Filling. Low-fat meat, skim milk, olive oil, whole grains and most veggies are on it. I believe also some nuts are, such as raw almonds. The rules are that if you eat carbs, you should eat whole grains, and not for more than 2 servings a day (you can have oatmeal for breakfast, for example). So the alternative Weight Watchers plan does limit carbs and encourages people to eat more protein. You do get a discretionary budget of points for the week for treats not on the filling food list, but it’s not a lot. I myself limit processed foods in my diet, cook in bulk on weekends, and eat the leftovers throughout the week (or til I get sick of them and cook something else). Hi there – I’ve edited my previous comment to avoid confusion. I was ‘just’ a veggie – I always consumed milk and eggs – sorry for mixing up the lacto and ovo lacto! Hence why veggie always worked for me! Another option – not in the Stop Counting Cals book – is to have porridge oats with water instead of part of the veggie brown rice allowance (swap gram for gram). This gives you a breakfast option – NLY, as you’ve worked out, being the other one. There is also brown rice cereal (out of the allowance again), which is best eaten dry anyway. Well done so far! What a difference processed food avoidance makes eh?! I am amazed at your sincerity and dedication to this cause. I have placed an order for your book “Stop Counting Calories” anxiously waiting for it to arrive. However, I have become so excited reading your blog and listening to you on youtube… have already somewhat started Phase 1. I do manage lunch on salads (spinach, Tomatoes etc.) and 0% fat yogurt and again dinner with brown rice and stir fry veges + Live low fat yogurt. But I cannot figure out the breakfast since I am a lacto-vegetarian (no eggs etc.). Would help a lot if could pleae elaborate on Lacto-vegetarians a little since you have had experienced with this. Good news is that just eating three meals a day and no processed food etc. your program has helped me to loose 2lbs in last three days. Now all the new calculators etc. have come out its possible to get an idea of the formula they are using to calculate Propoints, I thought you might be interested. Then added together and rounded to the nearest whole number. So they weight protein and carbs similarly and are penalising for fat. That is an improvement on the old system. Not sure why they are bothering with including the fibre as in all my calculations it has never amended the finished propoints value. Hi Rachel – I did maths at Cambridge and I’m not sure I’d want to go this route! Just eat food – real food! Then we don’t have to count anything and we can get on with what we’re here for – living a life! Thanks so much for working this out for the rest of us! Just to say thanks I really enjoyed this article. Whilst I’ve had nice steady success with WW over the last 10 weeks and I’m now on ProPoints I do take the WW system with a large pinch of salt. I’m an online user only and the main thing I use it for is tracking what I eat – as I find that’s very helpful in ensuring I eat a balanced ‘whole food’ diet including plenty of protein and control my portions. WW does allow you to do this but you are right their sciences statement starts fairly well and ends badly. I read your comment and the details of your philosphy on weight loss. In order words the people who have never eaten meat in their life and are lacto vegeterian… according to you have no chance of loosing weight. Are do you have something that works for them. You seem to agree with fellows who share the same thought as you. I would realy like to see your comment on this. Hi Serena – I don’t think this at all. I was a non meat eater for 20 years (until Good Friday this year) and a vegetarian for most of that time (I started eating fish again before meat.) I lost weight during that time and kept it off. My first principle of weight loss is “do eat real food and don’t eat processed food”; my second is “unless you are a cow, or want to be the size of one, stop grazing!”; my third is – “manage carbs, not calories, to manage your weight”. Following those principles is the fundamentally important bit. The challenge with vegetarians is that they don’t eat the only two zero carb food groups on the planet (meat and fish) – although eggs are virtually carb free. This simply makes principle 3 a lot more difficult for lacto vegetarians and even more difficult again for vegans. My main diet book “Stop Counting Calories” was written when I was vegetarian and works well for most vegetarians – with this carb caveat. With the growth in type 2 diabetes and the unprecedented modern consumption of huge quantities of poor quality carbohydrate, more and more people are becoming carb sensitive and/or insulin resistant. A vegetarian eats a greater proportion of their diet in the form of carbs (because they don’t eat the zero carb groups) and therefore they are ‘waking up’ their pancreas to release insulin more often than someone who bases their meals on meat and fish. This can make them more carb sensitive over time. Interesting. In the end it is still garbage in, garbage out – I do follow WW but don’t eat processed foods; I’m using the points system as a way of retraining the way I think about food (long complicated and tedious story which I won’t go into – but learning to balance intake across the week, and learn to think about whether I’m hungry etc – it gives some structure which I find useful). I do agree that WW don’t seem to do enough to educate people on their motivations etc for over-eating (there’s some small print about it, but not enough large print. Then again, I’m not sure its’s something capable of being addressed coherently for all) – I rather despair of some of the tales heard/read on the boards of people trying to figure out how to continue to eat junk food and quantities of alcohol on a regular basis, within points. The WW foods don’t assist in the slightest. The new plan is causing some consternation; some valid (WW’s approach to introducing it hasn’t been a stellar example of customer service) but a lot is resistance to the fact that the new system does penalise carb-eating (pasta, potatoes, bread & sugar etc have all increased in points relative to protein) – there seem to be howls of protest from those who have realised that they can’t have their bowlfuls of pasta/massive jacket potatoes easily in points any longer. Hi Anne – thanks so much for this – very interesting. I did wonder if WW would experience resistance – I love that passage in Bridget Jones’ Diary where she can quote the calorie count in a box of milk tray to the digit! I’m not sure some girls and calories can be separated! Many thanks for the insight! p.s. I eat porridge every day, dark chocolate every day (mostly fat, not carb), milk every day (carb content is measurable), and brown rice, baked potatoes, fruit etc when I feel like them. In no way is this deprivation – I just don’t eat processed rubbish! My worry is cholesterol,one good and one bad. What foods causes the bad cholesterol ? Hi John – there have been whole books written on this! I highly recommend “The Great Cholesterol Con” by Dr Malcolm Kendrick. Lipoproteins are microscopic bodies found in our blood stream. We can think of lipoproteins as tiny ‘taxi cabs’ travelling round the blood stream acting as transporters. They are needed because the vital substances fat and cholesterol are not water soluble, so they cannot exist freely in blood. The lipoproteins, therefore, carry fat and cholesterol around the body to perform their critical tasks. There are many different sized lipoproteins: chylomicrons; very low density lipoproteins (VLDL’s), which are often called triglycerides; intermediate density lipoprotein (IDL), which is rarely talked about; then we have the much more widely known low density lipoprotein (LDL), erroneously known as ‘bad’ cholesterol and high density lipoprotein (HDL), equally erroneously known as ’good’ cholesterol. It’s like calling a taxi “people” – a taxi is not “people”, it is a carrier of people! This is a hugely widely made error – made by many, if not most doctors, and virtually all diet advisors. The body makes cholesterol. It is one of the most vital substances in the human body – we would literally die without it. It is so important that the body does not leave it to chance that we need to get it from food – we are making it continually. Either Dr Kendrick’s book (or Uffe Ravnskov, or Mary Enig’s or Anthony Colpo’s – or my latest book “The Obesity Epidemic: What caused it? How can we stop it?”) – any of these will explain the vital importance of cholesterol and why we should not be trying to lower this vital substance in anyone who does not have familial hypercholesterolemia (about 1 in 500 people have this condition). My book goes through the story of why we came to demonise nature’s real foods – containing fat and cholesterol. To cut a long story short – follow the money! One statin (a drug that stops the body producing cholesterol) – Lipitor – alone is worth $12 billion. Food and drink companies have become bigger than half the countries in the world because they have managed to convince us that real food (with its fat and cholesterol and vitamins and minerals – all the essential things we need for optimal health) is bad for us and we should be eating man-made margarines and breakfast cereals instead. My book goes into fat digestion (what exactly happens when we eat, say coconut oil) and challenges someone to explain how dietary fat can in fact turn into LDL. LDL is the left over from IDL which is the left over from VLDL. I can see a direct biochemical path between eating carbs and how VLDL is made – but not fat. Hence my chief cuplrit for raising VLDL would be carbs. Any natural food consumption should be manageble by any human without familial hypercholesterolemia. The completely unprecedented and unnatural consumption of huge quanitites and poor quality (refined) of carbohydrate may well be causing ‘unnatural’ VLDL (triglyceride) levels. Should we put everyone on statins?! No! Stop people eating processed food and refined carbohydrates and the body will make the right amount of cholesterol! I have been a weight watchers member for around 2 years now I guess. I have struggled to lose anything for the last 3 months despite sticking to my points! I am very active and probably do around 4 or 5 cycling or boot camp sessions per week. I folllowed the principle (their principle) that if you expend more calories than you consume you will lose weight! Hmmm…. that hasn’t quite worked out for me. Some weeks i’ve put in so much effort it’s ridiculous only to be told I have put 1.5lb on or just stayed the same?? I can’t work that out at all. They tell me wait for the new plan but i’m not so sure. I weigh more now than when I started.I can’t believe i’m buying bigger clothes! I’m sure that’s not the idea? I was on SSRi’s for sometime due to having to take interferon (completed 1 yr ago) that stripped me of my seratonin. I stopped taking the SSRi’s 2 weeks ago now. I was also told this could have an impact on weight loss but who is to know! I will be honest and say there have been weeks when i’ve overeaten but equally i’ve been very careful and put on or stayed the same. I feel totally apathetic now and wonder if I have some kind of thyroid issue or something. Could that be possible or am I probably eating too much carbs. I also did the Atkins diet years ago and lost lots of weight but found it a bit too fatty and smelly if i’m honest! I have read your comments and it all seems to make sense. I just feel generally fed up and let down by slimming clubs and am left not knowing who to believe! Do you think this could help me because I can’t take anymore disappointment in this area. I almost feel like i’ve been brainwashed by these diets…….Is it common to feel guilty if you contemplate leaving… HELP ! I came across your article after ‘googling’ the new weight watchers plan for further information. I am due my 3rd baby next week and was thinking about healthy eating/diet regimes whislt breast feeding and weight watchers was recommended. I had some success in the past with ww losing 30lb after my first child but the weight has crept back. I tried sw briefly and lost 7lb in 1 week! but felt it was hard to maintain. I suffer from hypoglycemia and bloating and have started to doubt the long term efficacy of plans such as these. I am over weight for my height (according to the BMI chart) but i actually eat quite healthily – lean meat, fish, nuts, seeds, milk, eggs, wholegrains and vegetables and only occasionally processed foods, I also trained and ran regularly (before 3rd pregnancy). But, i always seemed to be unable to lose weight or that i gained weight very easily and began to wonder if the so-called weight loss plans were to blame. I started to research it further and have recently read a book ‘eat right for your type’ which i found interesting. I have to say that i was so glad to read your article as i was beginning to understand that certain carbs esp processed are full of sugars and that most ‘diet’ food was actually not as healthy as you are led to believe. I dont want to eat something full of thickeners and enhancers. I want to eat properly and healthily without having to follow instructions from someone or some hard to maintain counting plan. I remember trying a reduced calorie intake, mainly carbs, and feeling like i was going to pass out during one of my regular gym sessions, even though i had eaten plenty during the day! I do think that the current advice on eating healthily is counter-productive and too much profitability involved. I have never been able to eat 5 a day although i try as i felt that i was being unhealthy and increasing my risk of illness if i didn’t, i wont be doing that now! I will definitly be getting a copy of your new book as i believe i need to overhaul my eating and learn new and better habits, to remove the food conditioning that plans like ww and sw have left me with. I feel like because of them, my attitude towards food is more complicated and confused than ever! 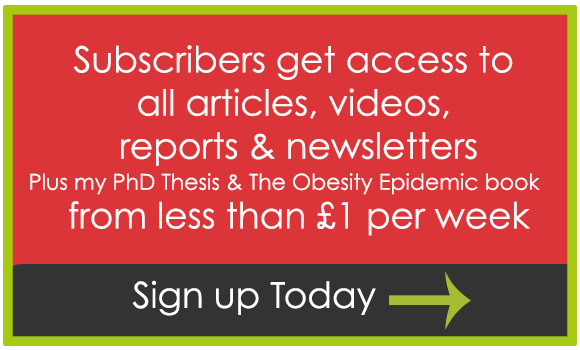 I have emailed your article to all of my friends many of who are on one eating plan or another, we’ll start a revolution! Hi Miri – so sorry to hear about your food related pain – that doesn’t sound nice at all. Your overall query would take a consultation to answer! I’m not suggesting you get one at all – but how much will you lose will depend on so many different things and no one on earth can or should guarantee you weight loss. This is one reason I get so annoyed with WW for their 2 lbs a week expectation – it just doesn’t happen and they proved it in a study this summer (people lost 11 lbs in a year if they stuck to the programme – not the 104 lbs they would have expected). This is a very interesting article! I have a 5 week old baby, and immediately after giving birth I developed a slew of food allergies/sensitivities to many foods, including wheat, dairy, goat dairy, soy, sugar, beef, turkey, several fruits and vegetables, and just about any chemical you can think of. Since I’ve been eating mostly chicken, tuna, vegetables, fruit, chia seeds, oatmeal, and some homemade spelt bread/muffins, I’ve lost about 12lb. I can’t cheat — I only tried it twice, but I had such terrible stomach and kidney pains that it really wasn’t worth it — so this is the longest that I’ve ever stuck to a strict diet plan, and I’ve finally reduced my sugar cravings. The only sugars I have are fruit (one or two pieces a day) and honey or apple juice concentrate. I have a family wedding coming up at the end of December that I’d like to lose about 30lb more for, and I came across your site while doing research on the new WW plan. It was interesting to see somebody who says that protein actually is inherently better for weight loss, rather than it being better because it’s appetite suppressing. I have always preferred a protein based diet, as has my husband. I will have to keep reading your site to get a better idea of what your weight loss philosophy is, but do you think that losing 30lb in 7 weeks is possible for someone not eating processed foods like myself, and how would you suggest I eat in order to meet that goal? My comment isn’t strictly related to the WW entry as I’ve never tried it but I always found that it was somewhat misleading (although I never fully understood the “science” behind it). I’ve always been interested in nutrition and healthy eating and read a lot about it but I have to admit I’ve fallen for a lot of wrong advice such as the 5-a-day golden rule. I eat more than 5 portions of fruit and veg a day, which supposed to be healthy but it’s doing more harm than good as I basically live on carbs. In the past month I started to feel increasingly worse with headaches, concentration and memory problems, insomnia and nightmares, extreme cravings and almost fainting on occasions. I have deducted that I must suffer from hypogycaemia (wonderful internet!). I had no idea what to do about it though. I was browsing the net when I saw the Daily Mail article about your book. I thought “That’s it! That’s what I’ve been looking for!” I instantly ordered Stop Counting Calories & Start Losing Weight and I can’t wait to start Phase 1. I actually know what I am doing wrong and I already understood how my cravings worked with the fluctuating blood sugar but I had no idea how to stop it. I have great faith in your method and I’ll be back soon to report how it worked. I am a healthy weight, 10st for 5’7 although up until 18 months ago I was never more than 9st so I hope I’ll have the added benefit of getting back to my comfortable weight. Hi Edit – many thanks for your lovely note. I really hope this does help – it is absolutely designed to overcome cravings and ailments related to food – from overweight to water retention to bloating to foggy feelings. Even not overweight I think it will resonate with you (the hypoglycaemia particularly by the sounds of it)! The 5-a-day is a particularly dreadful piece of advice. It has no scientific basis and yet is asserted worldwide on a daily basis as if some science is behind it. If you caught the DM article about the myths you will have seen that it started as a marketing campaign with the National Cancer Institute and several fruit and veg companies. No evidence that it would help cancer then and none has been found since. This is not surprising to anyone who knows about nutrition as fruit and veg are simply not that nutritious relative to things like liver, sardines, eggs, sunflower seeds etc. Veg is OK – if eaten with fat (like butter) to deliver the fat soluble vitamins. Fruit is good for vit C and there are better foods for all other vitamins and minerals. In the latest book, The Obesity Epidemic, I go on to ask – even though there is no science or evidence – is 5-a-day still a useful message and the answer is a resounding no. For many reasons – one of which you picked up on – I know people (women particularly) who binge on fruit and crave the sweetness and the sugar hit. Another reason fruit is fuelling obesity, rather than helping, is that it is metabolised differently to glucose. Fructose goes straight to the liver to be metabolised and can be turned into fat there quite easily. If you watch Sugar the bitter truth (Robert Lustig) on YouTube you can see him argue that there is no difference giving a child fruit juice vs cola vs beer! Plus parents are trying to stuff 5-a-day inside their kids on top of everything else – not instead of – and it’s mostly fruit drinks that they manage to get kids to consume – not broccoli. I can’t believe a marketing campaign ended up as the biggest public ‘health’ message in the world! When did we get so gullible!? I will monitor the website and will, of course, comment and encourage my firends to comment but I think that you and your associates will carry a lot more weight than we will. I hope you will comment on the consultation and will encourage colleagues to do so as well. If you would like me to contact anyone who might be interested please send me their emails. If you would like me to let you know when the consultation becomes live I can do that as well. Hi there – well done for contacting your MP – if we all did this it could make a real difference. I write to NICE, DoH, NHS, FSA etc so many times I may get a christmas card! Please do let me know when the consultation goes live. We are lobbying on another one with the Weston A Price foundation at the moment. One about carbon foot print, which is going to give families carbon miles and then you lose credits getting ‘fatty’ foods – too late to go into this in much detail and we’re trying to get the submission up for open view on a site. It’s another underhand way to get everyone eating the grains that the cereal producers want us to eat and not the food that nature provides for us. It really is scary. If Judy will not take you up on your kind offer, I would like to. I have a growing library of diet books, from low GI to low GL (Patrick Holford & Nigel Denby) to WW, Slimming World, Rosemary Conley. Recently I started looking more into low carb diets after reading that my body shape meant I would find it difficult to lose weight while eating carbs, and so purchased books by Barry Sears and Dana Carpender, and I don’t think anyone could deny there is something to be said about their approach to weight loss. I have of course tried all of the faddy diets, but miraculously they no longer work, it feels as if my body is broken and needs a complete overhaul for it to function correctly again. I know people say this all the time but I only have to look at a cake to put on weight. I have recently started Aitkens, as I had not heard of you (apologies, but I have now ordered the stop counting calories book) and have lost 4lbs in 3 days, more than I could hope for in 3 weeks at WW. Also, I would like to comment on the post made by another poster re the success WW has had with helping people lose weight. I first joined WW in 2004, and the people that were on their message boards then are still on there now, still trying to lose the weight, WW don’t publicise all their failings. On the WW message boards you will constantly see people “falling off the wagon” because counting the points is just as bad as counting calories and you can not eat a lot of food with your 18-20 points, ie on the old system a steak was about 6 points, a third of your daily allowance. A friend of mine has been on WW for the past 3yrs now, and yes there have been periods where she has gone off track, why, because even counting the points becomes too much like hard work sometimes, but with a substantial amount of weight to lose, she has only managed to lose 3 1/2 stones, a paltry 14-16lb a year, and believe me it has been a hard slog for her to get that far! Call me a cynic but I find it difficult to fully believe the opinion of someone who is selling their own product when they criticise someone selling something in the same industry. Firstly let me make it clear that I am not on Weightwatchers nor do I work for them but I do have to point out the success, actually, enormous success they have had for a very long time. Now part of me feels this is not only due to the plans they have formulated over the years but its also down to the support network that individuals get being part of a group of people with the same goal. My own belief is that we all have to find the system that works for us but most importantly we have to be in the right place mentally before we can ever hope to succeed on ANY diet. I really do dislike the black and white attitude towards food (as well as other human-related things). I’m all right, you’re all wrong. It’s never that way with humans. We’re told smoking kills, yet you hear often of people smoking 20-40 cigarettes a day and living well into their 90s or even making 100, and in relatively good health for their ages. Regarding WW, I’m extremely grateful to this diet simply because I was 13 stone up till this Spring, I’d been doing calorie counting and not losing weight (as well as walking to and from work instead of getting the bus). I started WW after seeing a friend lose lots of weight on it, and realised I’d obviously not been counting calories properly because immediately the weight started to come off – I realised on this diet I’d just been eating too much before. The best thing for was that I didn’t have to avoid any foods, could have treats, wine, etc. and I’ve lost a steady 1-2lb a week since. I’m now 9 stone 10lb, have just a few more pounds to lose to be at my ‘perfect’ weight, and feel a million times better, i.e. no more pain in my knees or back or breathlessness after the slightest physical exertion. I do realise the pitfalls of too many chemicals, and I’ve succumbed to their cakes, but this has made the diet not only bearable but unbelievably for me, almost enjoyable, though I’m looking foward to no longer having to diet. Anyway, I just wanted to say it’s really fantastic for some people, other diets work for others. WW certainly perfect for food purists, but it seems every dietition argues that their way is right, even though they conflict – carbs are good/carbs are bad/fat is good/fat is bad/vegetarianism is the only way to good health/raw food is the way/veganism, etc. I’d honestly just rather enjoy myself and use common sense, eat decent food, treats in moderation, buy organic meat if I can afford it, if not, don’t sweat about it because having been a food obsessive years before, I really believe being overly fussy to the point of neurosis and seeing food as potentially dangerous is worse for your health than a deep fried mars bar. The theory that dietary advice to base meals on starchy carbohydrates is the cause of the obesity epidemic is a sensationalist, silly notion. It is clear from understanding the scientific knowledge base that the theory is unfounded. Your quote above, “We can only lose weight (break down triglyceride, which is what human fat tissue is) when the body has no option but to break down triglyceride. This can only happen when there is no glucose or glycogen (the body’s storage form of glucose) available in the body.” implies that weight loss won’t occur if carbohydrates are eaten – this is false. Fat breakdown begins in the fasted state between meals, even when the previous meal contained carbohydrate. The idea that if you eat carbohydrate you store fat is reductionist rubbish – it does not reflect the vast and complex underlying processes and controls. Carbohydrate is needed as fuel for various organs that can not burn anything else – including the red blood cells and for the most part, the central nervous system including the brain. The body goes into what is called the “starved state” (ketosis) if it relies only on the fuel provided by fat and protein. This means for example that the body’s muscles can no longer do high-intensity work, and there are varying individual effects on mood and cognition (likely a reason why people have such a problem sticking with the Atkins diet). Moreover, carbohydrates provide various nutritional benefits – for instance, potatoes contribute a large amount of vitamin C in the UK diet as well as folate and other micronutrients. Wholegrain cereals provide B-vitamins, fibre and contribute to a feeling of fullness that can help with feeling satisfied and thus stop over-eating. Let’s not forget the amount of enjoyment, the lack of expense and feeling of well being that comes about as a result of eating these foods! The problem is that you lump all carbohydrates together. 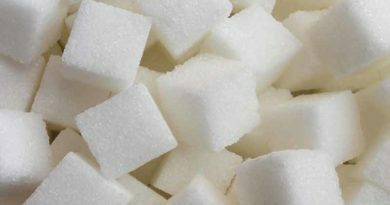 Starchy carbohydrates are being demonised like sugary carbohydrates when the truth is that these carbohydrates are digested differently and therefore affect blood sugar levels and insulin differently. And there are many types of starchy carbohydrates that are in themselves digested differently to one another. Again, a complex notion transformed into a simplistic one that doesn’t make sense. 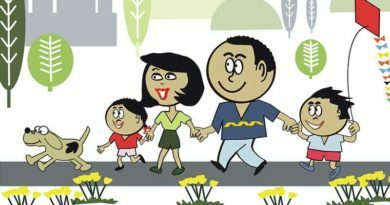 Finally, there are so many interacting factors that drive obesity which are complex and unique to every individual. Putting forward a “one size fits all” approach to weight loss is amateur at best, and potentially damaging to obese individuals at worst. To those reading this and wishing to lose weight – seek the advice of a regulated healthcare professional before deciding to take this pseudo-science babble as gospel. Hi Diet Judy – please offer an alternative explanation for the 10 fold increase in obesity between the time we did a U-turn in our diet advice and the turn of the new millennium. We may be having a heated agreement on the triglyceride point – My comment does not imply that weight loss cannot occur if carbohydrates are ever eaten – it says that if glucose/glycogen is available the body has no need to trigger gluconeogenesis. If only people did get into a fasted state between meals but, with the advice to graze, eat little and often, eat carbs all day long – the human body has little chance of ever burning adipose tissue. We can also have some agreement on glucose (not carbohydrate) being needed for the brain. However, we don’t need to eat carbohydrate to get this glucose. If the brain needs glucose (one of) glucagon’s role is to break down the triglyceride so that the glycerol is available to the brain and then three fats are released from the fat cells i.e. weight loss. If the person does normal activity (walk, talk, sing, dance, cook, clean & tend the land) during a fasting state glucagon can also be called upon to break up the triglyceride for the fat (energy) need of the body. Either the brain needing the glucose or the body needing energy can trigger fat to be ‘un-stored’, but not if glucose is already available. Potatoes are not a great source of vit C – liver is virtually the same (gram for gram). Broccolli would be better at 89mg of vit C per 100g of product – and broccoli can be eaten raw. Re. wholegrain cereals, I trust you are not recommending any cereal with sugar in so let us take porridge oats as one of the most nutritious options. It’s OK for B1 – that’s the only one it beats liver for. Liver (and real meat generally) beats cereal hands down on the rest of the B vitamins and of course we have to consume animal products to get B12 from our food. Sunflower seeds are better than oats for all the B vitamins. Yes carbs are enjoyable – to the point of addiction for many people I have worked with. I’m not saying eat no carbs – I’m saying carbs are the secret to weight loss and we absolutely do not need carbs in the quantity or (poor) quality demanded by the Eatbadly plate. I have posted the intro to the book that I have written exclusively about obesity here. If you can answer all those questions please post them here – and I mean original sources, not something you were told on your dietician course and never asked from whence it came. If you are interested in reading the book with an open mind I will happily send you one. “During the ice age we would have had virtually nothing but meat (and fish for those near water)”….Sure Zoe, but early cavemen did not have our sedentary lifestyles…they were all out hunting and trying to survive the ravages of life…..not to mention that life expectancy was , what, around around 35?? Please! Basing your “evidence” on the past is really not very helpful or scientific….of course there was no obesity everyone was running around trying to survive. Weightwatchers and the like insist on the importance of a lifestyle change…Of course processed food is bad for you…and the WW marketing machine which promotes their ready meals is really an unnecessary evil…However, if, as I did years ago, you follow the Points plan, get some regular exercise and try to eat healthily, (with occasional slip ups and bad weeks), it is a simple and effective way to lose weight and maintain the loss if you really change your lifestyle—-and it does work if you have the willpower to stick to the change. I lost around 12 kg (25lbs) about 10 years ago…have had some ups and downs, but never gone back to the weight I was…thanks to having learned from WW how to eat sensibly and taken onboard “tricks and tips” which I have never forgotton. Hi Michaela – interesting one. The view of anthropologists is that we were not as active as you suggest. Man would have walked long distances and sprinted short distances. Woman would have cooked and tended the land around the settlement. It was as important for human survival to conserve energy as it was to find energy. Life expectancy – right up to the 20th century – was massively distorted by mortality at birth. If you take deaths at birth (baby and mother) out of the statistics the difference is not so stark. Caveman also died of very different things – accidents, injury, resulting infections, attacks from other humans and animals etc. Man did not die of modern illness until modern times (cancer, diabetes, heart disease, obesity etc). It is a tragedy that we have made so much progress with health and then introduced avoidable illness in parallel. I would also add that we are existing longer but not living longer in far too many cases. Australia now record life expectancy and years of health and the latter is about 8 years lower than the former. I want as many healthy years as I can enjoy – life and quality of life are very different things. Each of us needs to choose our own path to health and ideal weight. Good luck with yours. I have been a WW mamber for nearly 3 decades. They helped me lose about 2 stone originally and every so often I return to their meetings for a few weeks for a top up on my motivation to keep my weight in check. Their system has worked well for me and they have helped me. In the early days the WW system was based on the work of Jean Nidetch, a US nutritionalist, and her plan included tightly controlled proportions of all basic food types, weighted towards protein and limiting fruit consumption to 2 small pieces per day, very little flexibility and no processed foods. Since then WW have changed the plan making it fully flexible, making processed foods available and placing a daily and weekly overall limit. My observation has been that the old system worked very well, the later revisions have worked but less well. I agree with much of your argument about processed foods and sugars in the diet, you make good points. If as you say here WW are making fruit unlimited and putting mars bars on the food list then I feel they are really losing their way now and it may be time for me to hang up my WW gold card. I think we’ll have agree to disagree, people lose weight with calorie restriction diets all the time. They’re in the office, at football, at the pub. People might put it back on, but thats because they start over eating again. Clearly there are exceptions and that’s where things like your plan come into use, but it’s not for everyone. It just seems a bit mean spirited of you to lay into Weight Watchers when I know first hand that, although it’s not for everyone, it helps a lot of people. Reading the comment “We’ve been eating animals for 3.5 million years – not Special K!” – where do you get 3.5 million years from? Homo sapiens haven’t been around for even a fraction of that time. The obesity epidemic has come about because we evolved in an environment where the availability of food was very different to how it is now. As a species we nearly died out and there was massive selection pressure on individuals that ate as much high calorie, high fat food as they could, they are the ones that didn’t starve to death and the ones who’s genes we inherited. So yes, meat is fine. Just not in the quantities that we are now able to and do eat it in. Evolution hasn’t caught up yet. Hi Daniel – Australopithecus Lucy first walked upright 3.5 million years ago and anthropologists take our ancestry back at least that far – some to 8-9 million years back. I totally agree with you – the problem is what we are eating and how different this is currently to what we have evolved to eat but this is because we started telling people to eat this way at the end of the 1970’s/early 1980’s and obesity has increased (in the UK at least – the USA was already ahead) almost 10 fold since. I don’t think that this is coincidence. Although what you’re saying is broadly correct, it misses (seemingly deliberately) some important points. The fact is that most people who go to weigh watchers are overweight because they eat too much high calorie food. I’m stereotyping slightly, but you get my point – they aren’t overweight because they’ve eaten too much fruit and their bodies have too much glucose to burn fat etc… They’re overweight because they eat too much crap. Weight Watchers don’t say that you can eat as much fruit and veg as you like, they are points free but I’ve never been to a meeting where they haven’t re-iterated that this is conditional on you eating roughly the same weight in food every day, clearly eating a washing up bowl of grapes is going to stop you losing weight. Obviously all of the things you suggest would lose someone weight if they followed them, but that’s easier said than done. Fine if you have a dietician, but for the average person counting points is considerably more practical even if it is less effective. Generally I get annoyed when people quote anecdotal evidence over empirical but in my not insignificant experience people that do weight watchers properly, i.e. stick to their points, use them sensibly to eat a well balanced diet and exercise DO lose weight. Almost without exception (not that I’m saying you couldn’t find one if you looked hard enough). Granted these people are in the minority, most people fall off the band wagon / don’t count the slice of cake they had at work / think 15 packets of crisps in a day is ok because they have the points for them etc… but these are common sense issues that everyone knows about, some people are just simply not that motivated to over come them. Additionally they are all covered in the meetings and not something you can blame weight watchers for if people chose to ignore, it’s not magic and you have to do it yourself – any weight loss plan requires commitment and will power. I do have to question the validity of these studies and under what circumstances they were conducted, because they genuinely don’t marry up with what happens fairly uniformly in real life. Yes weight watchers points are just glorified calorie counting and yes, theoretically it’s not always quite as simple as calories in vs calories out but in the real world for the majority of people that over eat, it really is as simple as cutting down the calories and upping the exercise. How do you justify the statement “If calorie restriction did work, we would not have an obesity problem, let alone an epidemic” ?? Have you not seen the calorific rubbish that seemingly everyone eats, some more than others. I’ve been going for nearly 3 years, lost 7 stone and have been successfully maintaining for 2 years. You cynic! I did have a book published on 14th October, but that was planned months before I heard anything about WW changing their world. I first got a call from the Sunday Express last week to ask for input on the WW press release, so I did quite a lot of work to help the journalist who approached me with that (she was a natural skinny so didn’t have a clue about dieting). The press release was embargoed until 1st November, so I thought I may as well make use of the help I gave the paper and do a blog on the topic once it was out there. I was settling down to watch TV late on Sunday evening and BBC Radio Wales called to ask if I would go on the breakfast show to debate the topic. That’s my local news station so I agreed to help them out. No mention of my book – they did an interview on that back in September. Well done you on your weight loss and I mean that. There are 1.1 billion overweight/obese people in the world and solving this epidemic, even one person at a time, should be our collective public health goal. As the stats say, there will be 1 in 50 (2%) who lose weight with calorie restriction and keep it off and you look like you are the one. The Franz study in the blog was of 80 clinical trials for different eat less/do more methods. WW was amongst the methods reviewed and the blog also mentions WW own funded study where people lost c. a tenth of what they might expect. I just present facts. 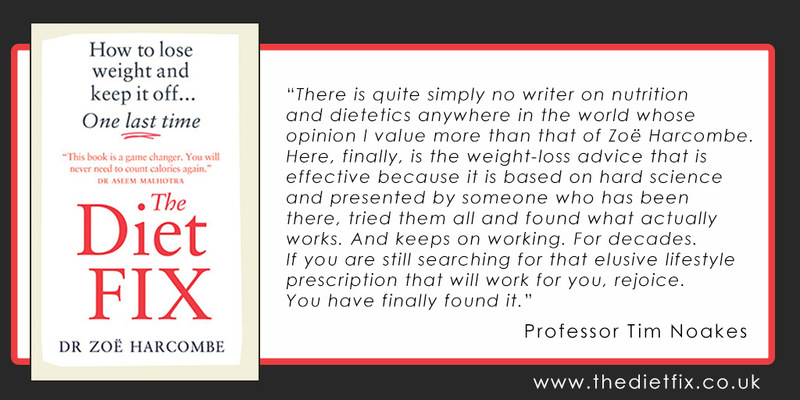 If you want anecdotal evidence – most of my consultations start with the words “I didn’t have a weight problem until I started WW (or Slimming World).” The person then lost some weight, regained more, lost some, regained more and my book explains why. My interest is the obesity epidemic – not weight watchers. I just got asked by the media for my view so I gave it! Feinman is the Physicist, you need to flip the names. I thought you were right when I first looked at this but Feinman is the biochemist (http://www.nmsociety.org/) – it is the right way round. I email him and he read the book so we should have got it right! While everything you say is true and I am delighted you are fighting the good fight against some very well funded foes and some willfully blind and deaf ‘experts’ and so-called nutritionists I am very surprised that you do not mention Dr Atkins at all. He said all this many years ago and was after all a heart surgeon by training. While I think he went wrong trying to sell convenience products what he advocated was, as you correctly say, the human diet. Oddly enough I am old enough to remember the kind of dieting called banting by my mother (after Dr Banting) which meant giving up bread, potatoes and sweets. it always worked. the in the late 1970s I was talking to a ‘nutritionist’ who told me no no fat is the foe. Fat=fat. then the appalling F plan came along and the rest as you say is history. I am particularly interested in the addictiveness of carbs/sugars… what is your view on this? I am quite a fan of what I would call real food Atkins and you are quite right – William Banting was the first to document this way of living and the term ‘banting’ was the 19th century expression for dieting. Banting in turn got his inspiration from Dr William Harvey who had travelled to Paris to hear some important diabetologists of the time – Claude Bernard and I forget the name of the other dude. I don’t like the processed low carb food Atkins empire sells – it’s as bad as processed low cal food or any other processed food in my view, but I do think a diet based around grass fed meat and eggs from such animals, fish, dairy, veg/salad and limited fruit/wholegrains is a good plan for weight loss. I agree with your nutritionist – fat is fat – (as found in real food) nature is not out to kill us! Carb/sugar addictiveness! Wow – totally agree on this. I can’t understand dieticians telling people to eat everything in moderation. We don’t tell an alcoholic to have one drink and leave the rest of the bottle; we don’t tell a smoker to have one cigarette and leave the rest of the packet. How can a carb/sugar addict have one biscuit and leave the rest?! It is SO much easier not to eat processed food at all than it is to eat it in moderation. Having been round a food science lab, the effort and research put in to making food irresistible, moreish and everything else is astonishing. We have no chance against such an industry so we need to reject their offerings. If you’re interested in this – my first two books are all about three very common medical conditions (Candida, Food Intolerance and Hypoglycaemia) and the way in which carb consumption causes them and how they in turn cause carb cravings. It really is a vicious circle. The books are called “Why do you overeat? When all you want is to be slim” and “Stop Counting Calories & Start Losing Weight”. You don’t need both – the second one is more recent and libraries stock them, so you don’t need to buy one (having said that – Stop Counting Cals is about £4 on Amazon). While I applaud those who are on a weightloss journey, I find it irritating that some-one can totally trash an organisation that helps tons of people. Weight Watchers worked for me where Atkins didn’t (and drove me mad in the process! )… There are lots of quacks out there that will spout anything and trash everyone in order to write a book! Hi Zoe, I liked your attack of WW and agree with some of what you have said. You make some very interesting points that I will investigate further. Your obesrvation about their extra points being used on WW products is spot on! I had seen the new system and thought similar things to you but had not thought of that. I have seen on another website that you say you are a nutritionist and have 2 related diplomas. The title nutritionist is frequently abused. Have you joined the UK Voluntary Register of nutritionists? Please tell me what institutions you obtained youre diplomas from. I am thinking about a postgraducate qualification in this field and there seems to be a lot of courses available that are quite variable in content. Would you recommend the ones that you went on? I cannot tell you enough how delighted I am to see someone finally challenging the food and “weight loss” industries. It is a complete mislead, misconcieved, uneducated, antiquated and profit driven world. The definition of insantiy is to keep doing what you’ve always been doing, but expect different results !! and thats unfortunetly (through misdirection and commercialism) what the public have been doing for the last 20-30 years ! Person 1 will get fat and develop diabetes. Person 2 will be fit and healthy !! WW needs to be closed down. Supermarkets need to be proscecuted for false advertising. Dieticians courses need to be re-written. Doctors need to be re-trained. Goverment guidelines need to be complety obilterated and reformed. I’ll happily help out… look me up !! Hi Barry – I love you already! Must be something in the name Barry because I love Barry Groves as well. Barry Manilow? – no, I think it stops there! You are bang on the money on all the things that need to happen and I love your example. I’ll email you so we can keep in touch. There’s a real momentum growing with our new meeting forum – the internet. With the Weston Price Foundation, thincs.org, Underground Wellness, Jimmy Moore, Natasha Campbell-McBride, Dr Malcolm Kendrick, Dr John Briffa, Dr Eades and more – we are saying such similar things and people are finding they make common sense. The profit motivated messages only have so long to go. You will love Chapter 15 of the book – the conflicts of interest. Every time I read it I am shocked and I wrote the thing! But you’re paid by WW to say nice things about WW and presumably to help WW sell as many WW products as they can! That’s a conflict from where I’m sat! I have to admit that I hadn’t heard of you (and I’m nearly 68 and thought I was well-read) until my dear wife emailed at work with the Daily Mail link. Since this morning I’ve been browsing your website. Some years ago I sort of did the Atkins/low-carb dieting stuff and, over the last 6/7 years I have lost 4/5 stone. We’re wedded to the high-fat & low-carb approach and it’s been a great help with our Type 2 diabetes. My wife triumphantly had the results of her blood-test 10 days ago and got her level well-down merely by eating correctly. It is astonishing that if you go to your GP when diagnosed with T2 and see a dietician you’re just given a diet sheet which is all carbohydrate. I just do not understand why these people don’t understand what the body does with carbohydrate. Certainly there is a clue in the American Diabetic Association’s dietary advice on its website that their diet will lead to you taking more drugs. I can see that my wife’s offer to buy me your book for a Christmas present is a sound idea. Should say that I’ve found Dr Barry Grove’s writing very helpful and informative, particularly Trick & Treat. Hi Robin – what a lovely message! Thanks so much for all this. I love Barry Grove’s stuff too – he is the man who ended me being veggie! (after 20 years). That’s how much my own thinking changed on this journey of research I have been on and yet, as you say, a T2 will go to a dietician and be shown the eatbadly plate (I think they call it eatwell) and be told to eat more of the mone macro nutrient (carbohydrate) that they literally can’t handle. It’s tantamount to medical malpractice. My interest in all this actually started when my brother was diagnosed with Type 1 – aged 15, when I was 13. He still eats carbs with every meal and my husband and I don’t. He thinks fat can clog your arteries and I think it infinitely more likely that sugar, modern processed food and drink, smoking etc – modern poisons – can damage the endothelial wall and cause the lesions that ultimately lead to blockages. We’ve been eating animals for 3.5 million years – not Special K! I was thrilled to bits when Barry reviewed my book and called it a masterpiece. Praise from someone who was such a pioneer in the real food/real fat/low carb world is worth so much! I think you’re being quite harsh on WW. I was given a trial run through my GP for 12 weeks and I’m still following their original plan 14 months later. I’ve managed a steady weight loss of 61lb so far (from an original weight of 20st 8lb) and have managed to eat a healthy balance of foods in the process. I’m curious to see what this new plan looks like and am also unsure of the benefits of unlimited fruit but I’ve struggled to lose weight through other methods and WW has really worked for me. It does help to be sensible though, no-one should expect to use their points allowance in Burker King and the sweet shop and still expect to lose weight! Sounds like you’ve got a good approach and are shunning the processed points counted concoctions and going for real food, but see the Minnesota Starvation experiment also. All the evidence of calorie deficit dieting is that it doesn’t work over the long term. My latest book: The Obesity Epidemic: What caused it? How can we stop it? goes through all the evidence for low calorie dieting (and I have personal experience) and low cal = higher carb (as a proportion, if not absolutely) quite simply because fat is avoided. Adipose tissue (human fat) is triglyceride. Imagine triglyceride as a backbone of glycerol with three fats/fatty acids attached to it (tri meaning 3). Triglyceride cannot form without glycerol and glycerol cannot form without glucose and insulin and therefore carbohydrate. It is carbs that make people fat and low calorie diets encourage carb consumption. It is no coincidence that the more we ‘diet’ the more obesity goes up. Low carb is absolutely the best way to lose weight (and the fastest). I have hypothyroidism, and have struggled with weight for 10 years plus. WeightWatchers has stopped working for me. I have tried all sorts of different diets and am putting weight on at the moment, despite trying to cut down on portion sizes, missing meals, etc. I am going to try this system and hope it works for me as I am in a state of despair with my weight at the moment. Hi there – I’m so sorry to hear this. Hypothyroidism is so cruel and is becoming increasingly common. Do come and check out our on-line club http://www.theharcombedietclub.com – it’s lovely and friendly. You’ll be able to see all the threads for free. Sadly we’ve had to make posting part of a nominal fee membership (£1 per mth) to keep spammers and bodybuilders out! Check out my youtube videos as well – http://www.youtube.com/zoeharcombe – I try to put as much as possible on line for free. You may recognise the three conditions (Candida, Food Intolerance and Hypoglycaemia) that I have posted videos on. I find these articles about WW really interesting. I am currently following your diet after being advised by my in laws to read your book. I had been on WW for a year with absolutely NO results in the last 3-4 months of it. Here in the Netherlands they had also switched to the ProPoints plan, which not only allows you to eat as much fruit as you want, but also there are ‘comfort’ foods. For example, for 4 WW points I could eat a ‘satisfying portion’ of potatoes, pasta, rice and other carbs. I could also eat a ‘satisfying portion’ of lower fat meats, like chicken or fish for 3 points. That isn’t so bad of course, unless you are putting it together with 4 points worth of potatoes or pasta. I DID lose 50lbs in my first 9 months on WW but it came to a very quick and grinding halt. Also, I saw little to no health benefits. If anything, things were getting worse. The reason I started to try to lose weight was because I was having so many health issues. At 308lbs I was starting to develop type 2 diabetes, I was plagued with acid reflux, irritable bowel syndrome and infertility. Some of these issues got worse. In that year my sugar went from a level of 7.2 to 6.9, dropping 0.3. I was afraid to go anywhere because of my bowel issues, I was on daily medication for the acid reflux and I was (in the beginning) losing weight but still feeling miserable. Another thing with WW and the points system is that it didn’t urge you to really give up the things you crave. I would give up healthy food to make room in my day for just a few more Maltesers, because I wanted and NEEDED them. I didn’t really learn anything about nutrition and what the things I was eating was doing to me physically. I have been following THD now since the end of July and the results are fantastic. In three months I have lost an additional 26.5 lbs, bringing me to a total of 76.5lbs lost. I no longer suffer from IBS, as I have discovered that I am intolerant to wheat and simply avoiding that has brought my bowel issues to and end. My sugar has dropped from 6.9 to 5.3 taking me totally out of the range of being at risk for diabetes, making my doctor very happy as he laughed and told me mine was now lower than his! I still have trouble from time to time with the acid reflux, which I don’t understand but I’m hoping that will also improve with further loss. Best of all, I don’t CRAVE anything anymore. Sure, there are things I look at from time to time and think “oh, wouldn’t that be nice…” but I no longer feel like my brain is going to explode if I don’t get Maltesers / McDonalds / Crisps, etc. Anyway, having done both WW and an all natural, low carb, don’t be afraid of good fats diet like yours… I stand wholeheartedly behind THD and other diets (or lifestyle changes, I should say) and will never, for as long as I live, return to a calorie counting diet again.